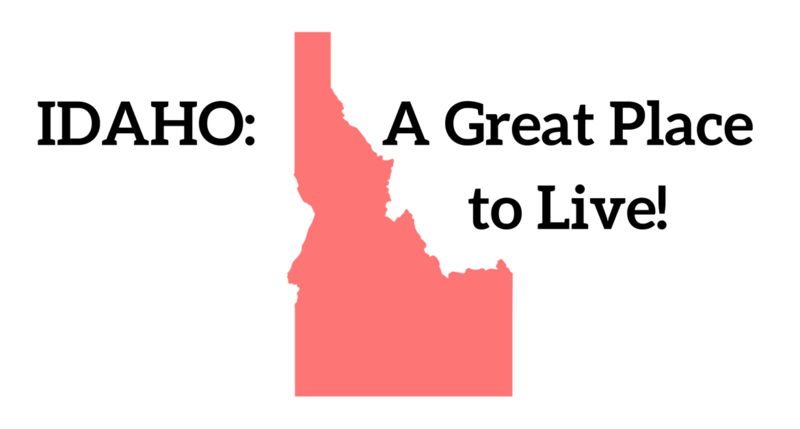 Last summer Bloomberg’s Economic Evaluation of the States named Idaho as “the top performing economy among U.S. states.” Using indicators such as personal income, employment and home prices, Idaho was far and away the winner for economic health. Idaho is the fastest-growing state in the nation. Many Americans are voting with their feet and deciding to come here because it’s a great place to live, work and raise a family. It’s unfortunate, but not surprising, that Democrats try to paint a doom-and-gloom picture of Idaho’s people and economy. They cherry-pick statistics and ignore all the good things happening in our state to try to advance their political agenda. But that’s just politics at its worst, and the people of Idaho know better. Under Republican leadership, jobs, economic growth and a business-friendly environment take top priority. Republicans have been careful to avoid the high-tax, high-spending, high-regulation policies of some nearby states (like California) that have led to high cost of living and lower quality of life. In the just-completed legislative session, Republicans successfully passed a major income tax cut for the people and businesses of Idaho. It lowered income tax rates for everyone, and boosted the per-child tax credit. Idaho’s tax revenues are growing far beyond expectations. Since those tax dollars originated with the people and businesses of Idaho, Republicans voted to return some of that money to them, to help foster further economic growth. Republicans also made sure we have enough money in the state’s rainy-day fund, in case of a future economic downturn or other emergency. While Democrats opposed the tax cut and wanted to spend more taxpayer dollars, Republicans took the route of fiscal responsibility: Returning money to taxpayers to help create jobs and grow the economy, investing in education, and keeping spending at reasonable levels. 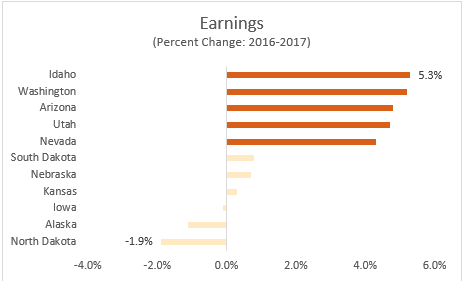 New numbers from the U.S. Commerce Department have amazing news for Idaho: We’re first in the nation for earnings growth, and a very close second for personal income growth. 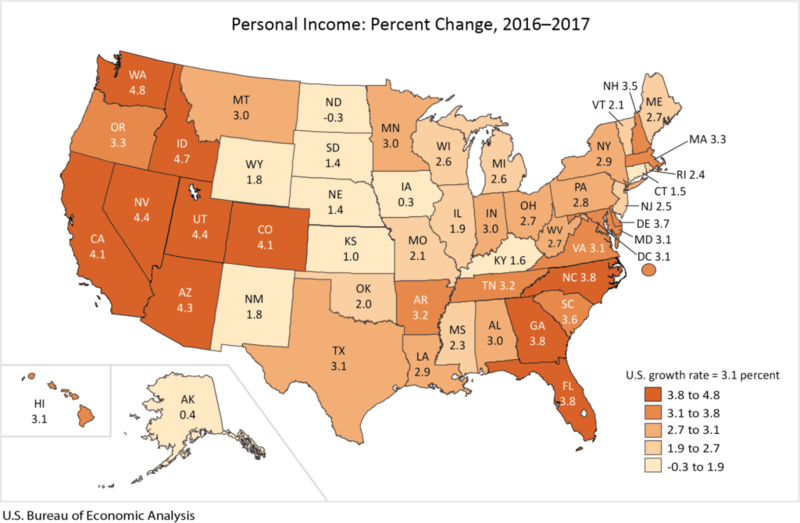 Another way of measuring people’s economic well-being is “median household income.” Idaho led the country in median household income growth between 2015 and 2016. In just one year, the median household income here jumped from $48,728 to $51,807 — a 6.3 percent increase. As of February 2018, Idaho has the 9th lowest unemployment rate in the nation. Idaho also ranks 13th in the nation for employment rate for prime-age workers. Idaho is tied for 8th in the nation for the lowest poverty rate, using the U.S. Census’ new Supplemental Poverty Measure, which takes into account of many of the government programs designed to assist low-income families and individuals. (Under the old Official Poverty Rate measure, which doesn’t take those programs into account, Idaho ranks 22nd). Idaho is tied for 8th in the nation for lowest rate of income inequality. 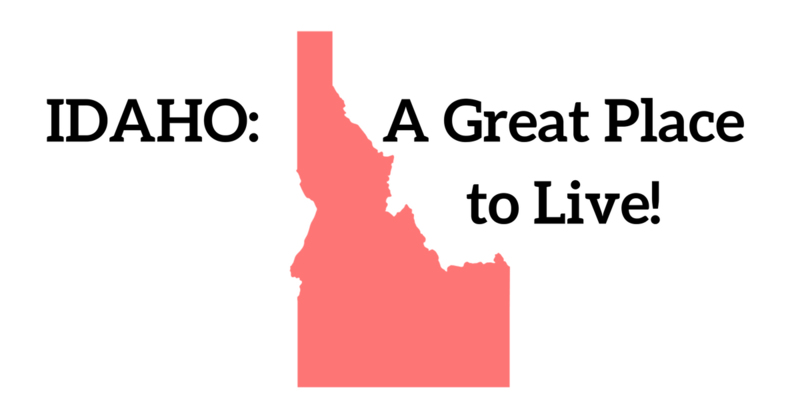 Idaho ranks 13th in the nation for lowest cost of living. Idaho ranks 21st in the nation for lowest prices for consumer goods & services, including rents. We are the best-ranked state in the West for low consumer prices. The real value of $100 in Idaho, compared to the other states, is $107.07. That means in Idaho a dollar goes further for consumers. Republican leadership in Idaho is making our state better for workers and economically stronger. Stay tuned for more great news!